Every year at ICS each grade level takes a trip. Freshmen always go to the Bale Mountains, juniors to Woliso, and… I’m not sure where the seniors go, it’s some sort of service project… anyway, lucky for me, I’m a sophomore so instead of altitude sickness in the mountains or malaria in the southern region I got to go on the trip to Lalibela and Gondar where the worst thing that can happen is a broken down van. 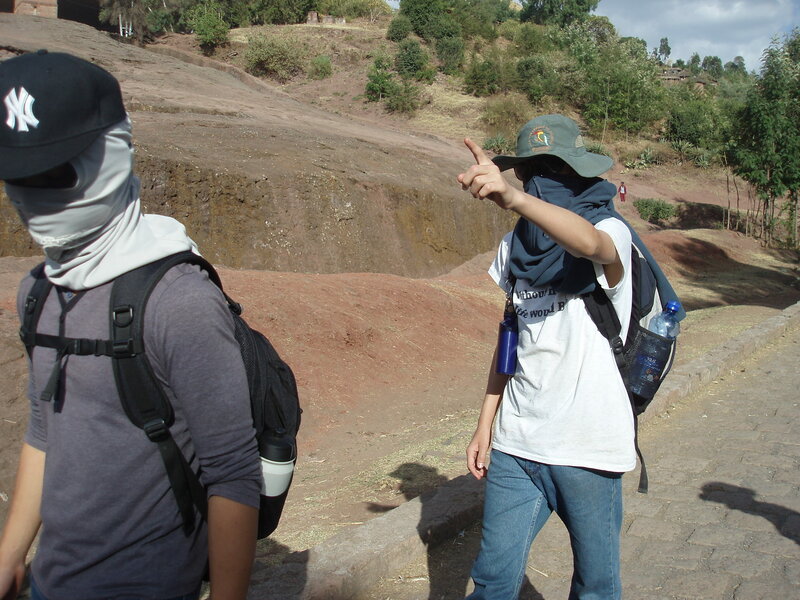 The class trips are basically meant to be team-building-service-learning-historical-crash courses. Or, in other words, Good Experiences. This, I think, is why they make us leave our computers and cellphones at home. On the six day trip, a lot of time was spent hanging out on the terraced roofs of the hotels playing card games, but we also got to see some great historical sites. Gondar has some fantastic castles that we checked out on our first day. Our guide told us that he was the man who taught Beyonce that Ethiopian shoulder dance that she does in her Run the World video when she came to visit Gondar on a tour. 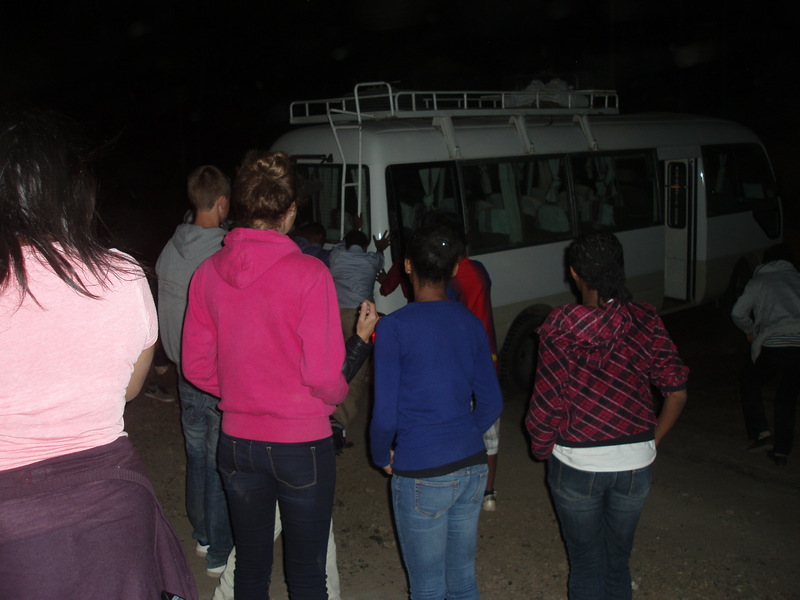 On the second day we all went out to a brewery to see how they make Ethiopian beer. That was just boring. Surprise surprise, apparently breweries don’t usually get high school visits so they didn’t know what to say to us (and there were no samples). 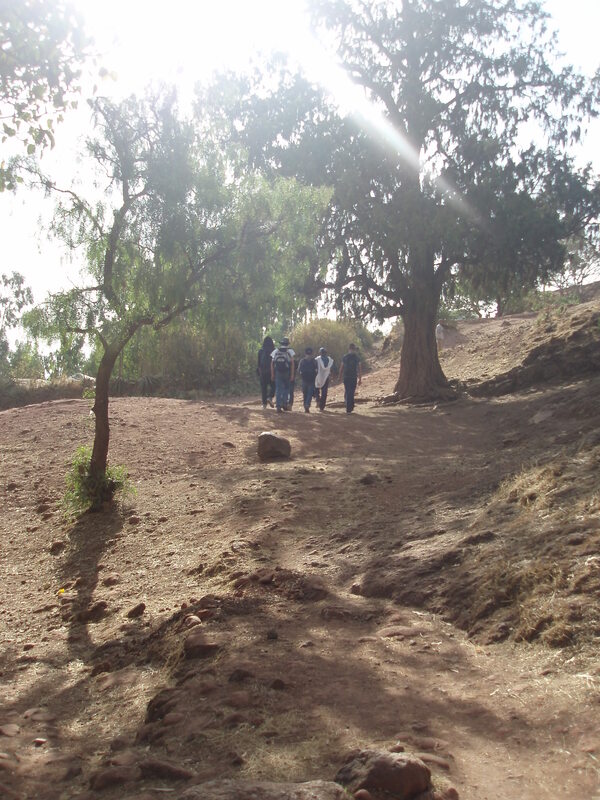 But for me anyway, there were better times ahead at Lalibela. This place is known for its huge sandstone churches that are carved into the rock canyon. They’re old things, most of them built around 1000 years ago. 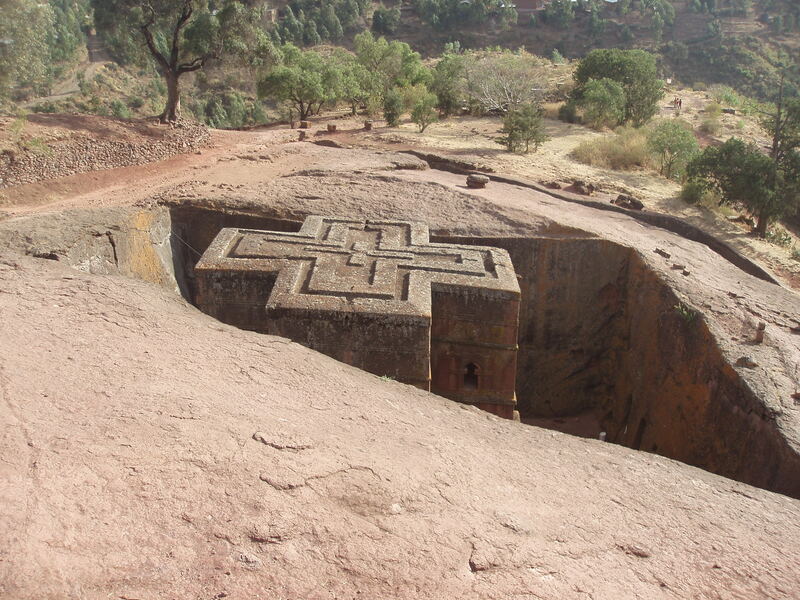 One of Lalibela’s famous rock-hewn churches. What was really great, though, is that all 12 of the rock churches are connected by underground rock tunnels. While most of the tunnels have collapsed with age there were still a few open…and of course we had to go through them! 30 meters of pitch black, cold darkness, with us clinging to walls and the backpacks of the people in front of us. We weren’t supposed to turn on lights in the tunnels (it’s all symbolic at Lalibela; walking through the tunnel to the open air represents walking through life’s conflicts to heaven) so we had to keep telling each other every meter whether we were in danger of hitting our heads on the ceiling. It was terrifying, but awesome. And it’s just as well we got used to the terror factor of the trip since we would be getting up close and personal with some mummified corpses later on. Above ground, we had to do the T-shirt head-wrap to keep the flies off. The last day at Lalibela was mostly spent in small groups of four or five, running around the hotel grounds preparing skits (though of course in reality we were just playing card games). Then we drove out to a cave two hours away with a church in it, along with a ton of 900 year old dead people (those mummified corpses I mentioned earlier). 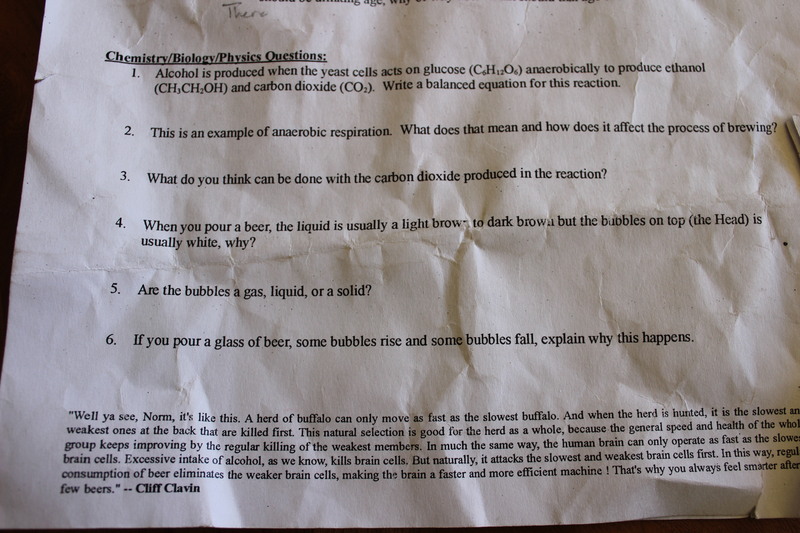 With that cheery memory to look back on we ate dinner at a beautiful resort spot and headed back to the hotel for a campfire, the skits, and eventually that inescapable “trip reflection” that teachers always make you do at this sort of thing. Then we played cards again. 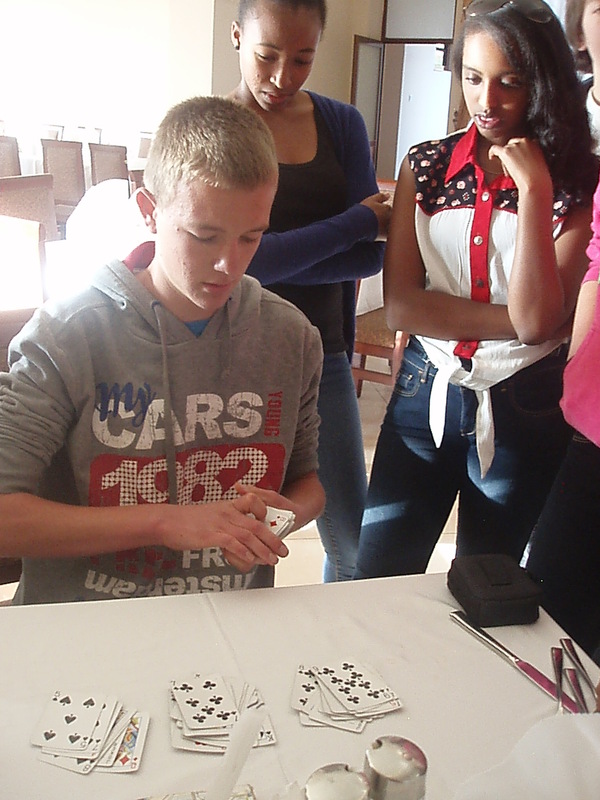 Who am I kidding, basically all we did that week was play cards. It was awesome. 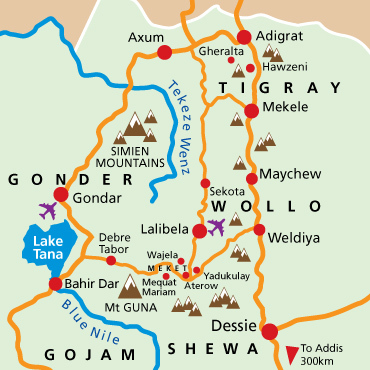 This entry was posted in Around Ethiopia, Background, Ethiopia, International Community School and tagged Alekka, Gondar, Lalibela, rock-hewn churches, Week Without Walls. Bookmark the permalink.